Prepare the required documents and label them as followed Last name_First name_Name of document.doc or pdf. Mislabeled documents will not be accepted. 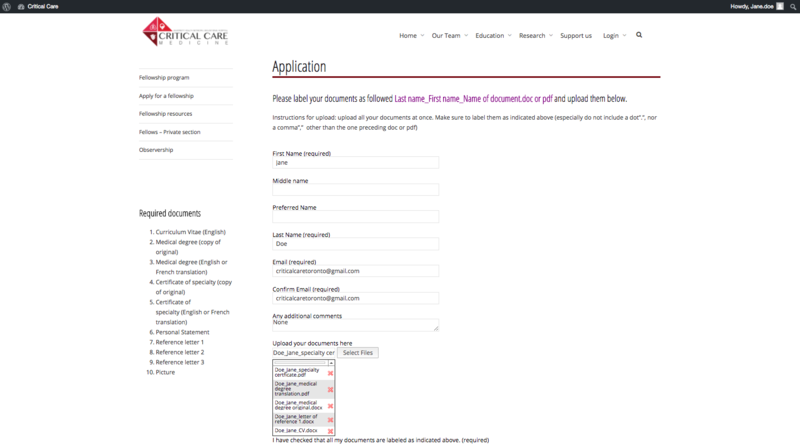 Fill out the required fields of the application and upload your documents all at once as indicated below. Before upload, ensure that you labeled your documents as aforementioned. 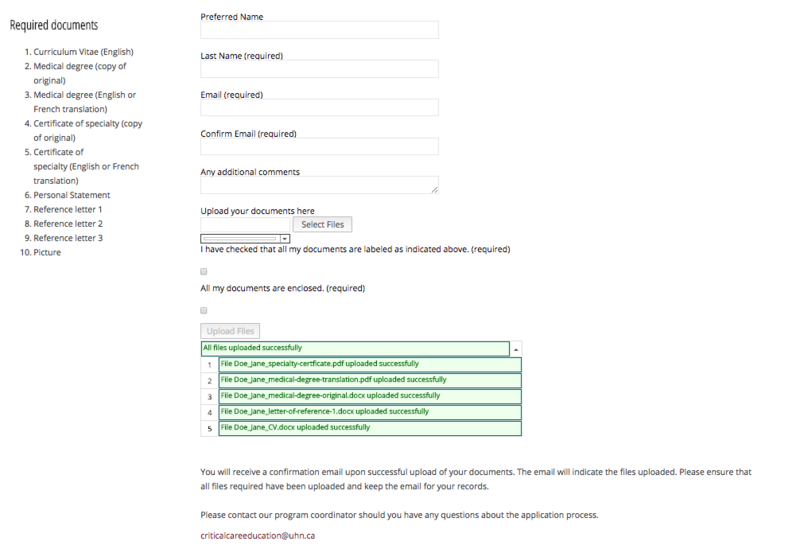 Once you’ve uploaded your documents, you should see the list of documents that have been successfully uploaded. Upon successful upload, click on the next button to learn about the next steps. You will receive a confirmation email of successful upload of your documents. Please keep this email for your records.